I love blogging conferences. With keynotes, socials, workshops, and panels they offer education, inspiration and just plain food for my writing soul. As a stay-at-home wife and mom of three kids just the solitude in a hotel room for a couple nights often gives me the silence and clarity I need to punch out a flow of words, whether it’s for blogging, book writing or simply collecting my own thoughts! Over the last few years, I’ve been blessed to attend Allume, Faith & Culture, and this year I was all ready to head to The Declare Conference. I purchased my ticket in the fall, reserved my hotel room and was about to book my flight. But I had this strange check in my heart. I thought and prayed over and over about it, and although I couldn’t find a good reason, I just couldn’t shake the feeling that I needed to cancel. I was going to contact the conference hosts and ask for a refund, and then the answer became clear…I believe God was asking me to offer my conference ticket as a scholarship to someone who needed to be there more than I. More information on them on their website or follow them on Facebook! So, what do you think? 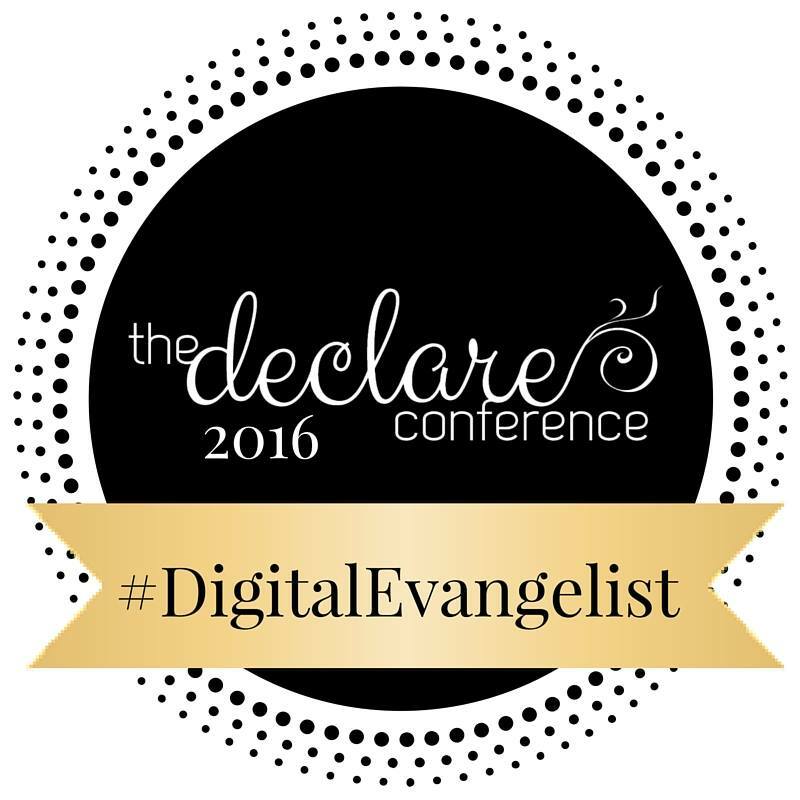 Is God calling YOU to be a #DigitalEvangelist? Would going to a conference like this give you the confidence, encouragement, and inspiration you need to follow that calling? Would you like to attend Declare, but just can’t spend the money on the ticket? If you answered yes, I’d like to offer my ticket as a scholarship for YOU (an ~$195 value). Contact me here BEFORE JULY 1st, and tell me why you’d like to attend Declare, but cannot purchase your own ticket. Tell me your blogging/writing/social media story, and the ticket could be YOURS!